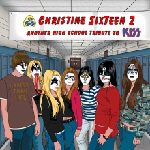 Patrice Beaudette just mailed KRR about his 2nd Highschool Tribute to KISS "Christine Sixteen 2" he's working on. "We re-launched our website, which was down for the last couple of weeks, on a new host with a NEW address. You can now access our official website through this address: www.highschooltributes.com. 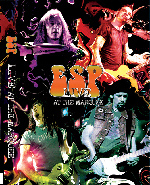 Also, Angelo Coppola will play on the CD. He'll play on "Deuce" as well as on "War Machine" and "Shock Me". 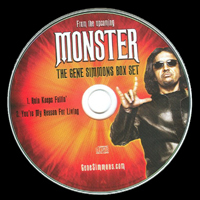 As a matter of fact, the tracks are already recorded at The Subterranean Studio in Mount Clemens (MI) under the supervision of engineer Will Tompkins. The kids are going to record the vocals on January 7th and 8th". Christine Sixteen 2 will be available ONLY through KISSMUSEUM. Bruce Kulick has officially entered the studio to begin recording his next solo album, tentatively titled "BK3". He has decided to keep a studio blog to let fans follow the process of recording the new CD.